Hi readers, creators and of course Warriors! This post is dedicated to my little new approach, it's been nearly 5 years into the making of the Warrior Legend Manga and as a sole provider for the series development and I have come to a point where I also want to share my experience throughout this book I have been working on lately. I want to review my own book in order for me to explain more about it. The book has recently just been released and I haven't been too good at telling anyone about it yet because I was not sure about how it was going to work out first of all and it's been taking me some time to put together as well. But here we go! 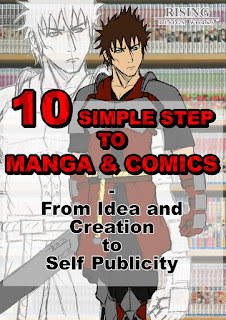 So the book does not cover how it was for me to create the manga series WL, it not a journal like that, but as the title state, it is a 10 step guide for someone who wants to publish and create their own manga/comic or graphic novel. The book simply takes you through the whole process with everything from the tools you need to the knowledge you'll learn to develop and how you progress from there. It explains a little about the biggest challenges and how you can move past those. So if you're stuck with ideas for your story or character, for instance, this will be the book that gives you that helping hand in knowledge and ideas in order to move forward with your project. Since I'm the writer of this book it is a little weird to say that this is one of the best books out there when it comes to creating your own manga. I hope it is one of the better ones cause I couldn't find this type of guide book, that focuses more on the development in steps. I have come to a cross some with the intention of talking about these matters, but mostly they focus more on how you should hold your pencils and how you actually draw the character. which is good but this one is more a creators guide. If you think it has a potential let me hear about it. The best reviews come from the customer and not the author. To keep the title simple it is a fairly short book with text-based material and pictures/illustrations from my own works on how to move forward, the book is about 40 pages. It covers the biggest and most important fields on the process and that's why its called 10 simple steps and not advanced or hard steps. Creating manga is hard it takes a lot for you even though you are passioned about it, it will consume time and energy considering doing it all by yourself. When you finally have made it, a new challenge comes ahead, you'll need to publish it! The book got some great pointer on to where you should start you to seek the attention you want both online and offline. Even better, if you, yourself are a creator let me know you read this and contact me through Facebook for a special deal! Even so, I highly appreciate if you get it through Amazon, perhaps you happened to have a friend or know someone that is working on such a project that can benefit from it. 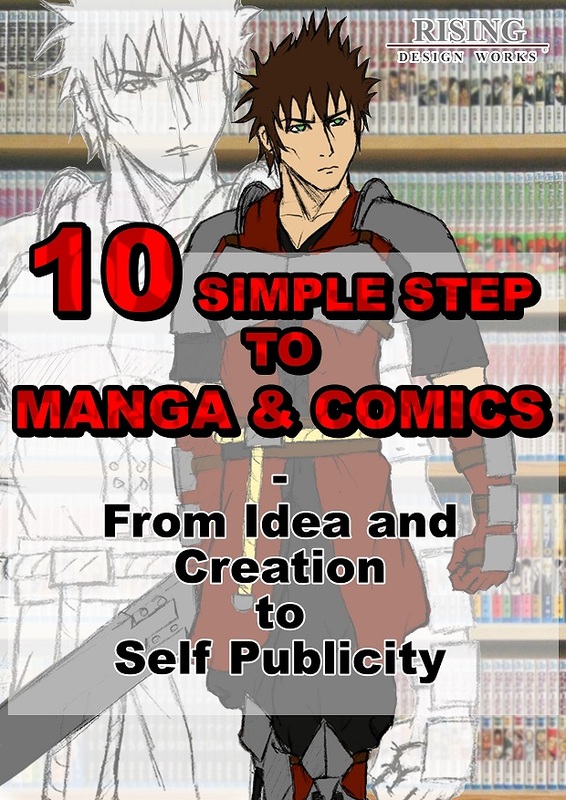 10 Simple Steps to Manga and Comics - From Idea and Creation to Self Publicity is a book written by a manga artist, and it comes with knowledge, practice and great pointer and tips for your manga to become something more than just a hobby. Don't wait, get the book today, join the venture of creating manga books of the future!